We have developed an adjoint solver for the CFD code nuwtun which is used to perform drag minimization of RAE2822 airfoil under lift constraint. The initial and optimized pressure contours are shown in figures below. 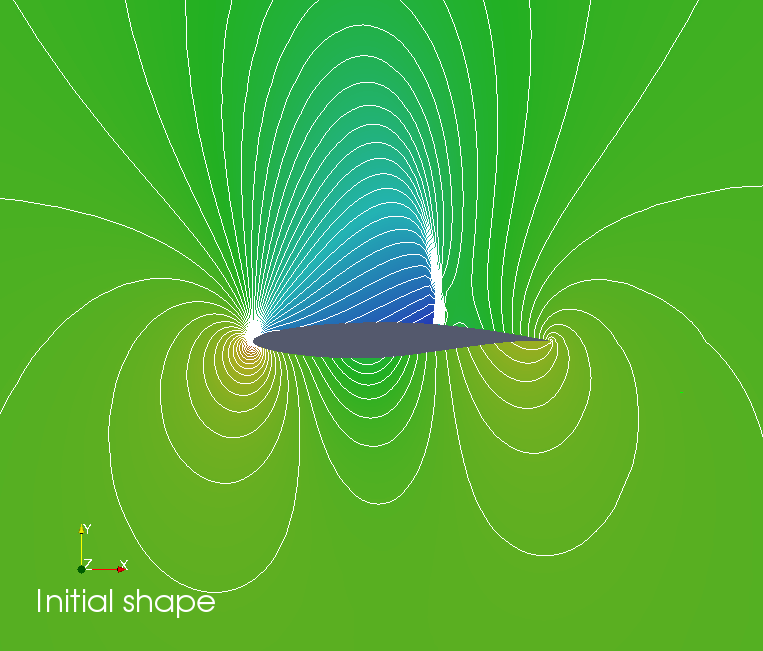 The shape was parameterized using 10 uniformly distributed Hicks-Henne functions on the upper and lower surfaces (20 parameters in total). The optimizer was the conmin_mfd from DAKOTA. Note that the shock has disappeared as a result of optimization. 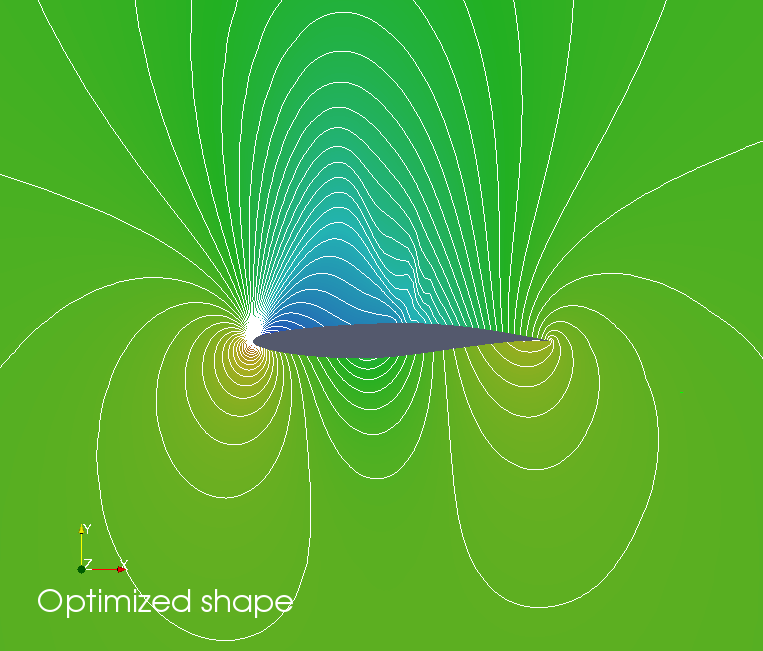 The solution on the optimized airfoil is shown below.